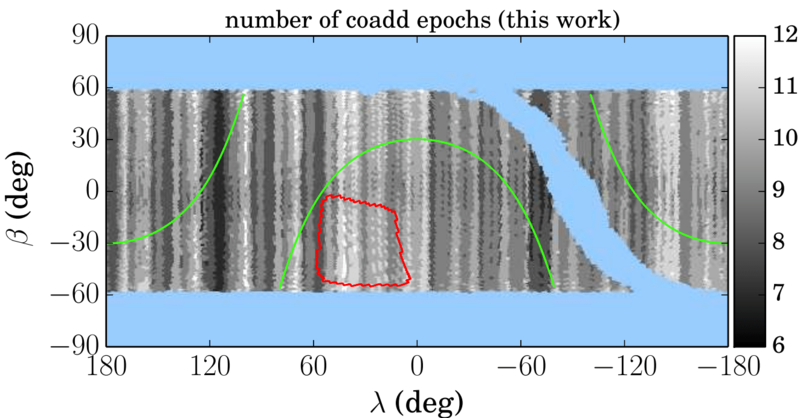 This paper covers the use of a deep convolutional neural network to search for Kepler planets. Despite the impression the press release gave, this is far from the first use of machine learning in exoplanet astronomy. But it is certainly an interesting one! 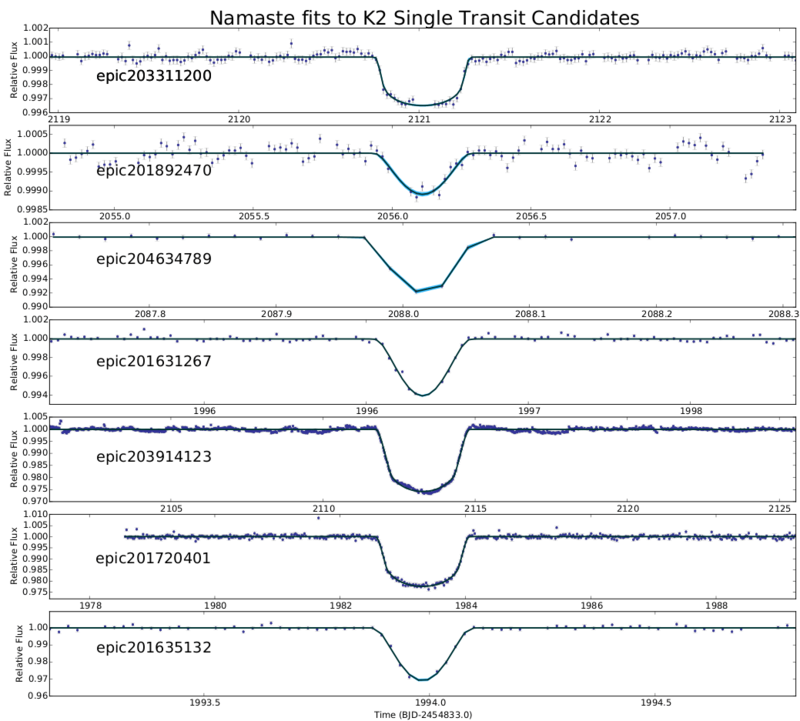 They used the Kepler TCE (threshold crossing event) list as training set and set about classifying these transit signals as either planets or false positives, punishing the NN when it classified each target wrongly. The result was a DCNN that correctly identified planets 98.8% of the time. One interesting technique they used was to send both “global” (whole phase-folded lightcurve) and “local” (transit-only) flattened lightcurve data into the neural net seperately, thereby insuring the small percentage of time spent at transit was adequately important to the NN. The model was also tested with injected transits & eclipses to simulate real data, and inverted lightcurves to simulate systematics. The Kepler team’s RoboVetter still outperforms this approach, though, especially for non-standard vetting approaches (such as faint secondary eclipses). When searching known multi-planet systems, the neural net found 30 new signals that it said were more-likely-than-not to be planetary. Given they already have confirmed planets, these are highly likely to be real, allowing Kepler-90i and Kepler-80f to be validated as planets, making Kepler-90 a solar-system-twin* with 8 planets! Does Planet 9 exist? If you asked me in late 2016 I would have said “probably” and yet here we are in late 2017 and I’m seriously questioning it. One major reason would be the Shankman paper which suggested the clustering of eccentric minor planet’s orbits was not due to a massive ninth planet but just because of biases in how we look for such bodies. Although lack of evidence is not evidence in itself, the lack of any detection after two years of frenetic searching also does not help. This paper added to past infra-red searched using WISE and NEOWISE data to search nearly the entire sky for faint bodies. They found no hint of planet 9 down to a magnitude of 16.7, and fainter than some (optimistic) models of the planet. Those models do suggest, for the majority of cases, that Planet 9 would be undetectable with WISE, leaving much room for doubt. The existence of P9 remains very much in the balance. 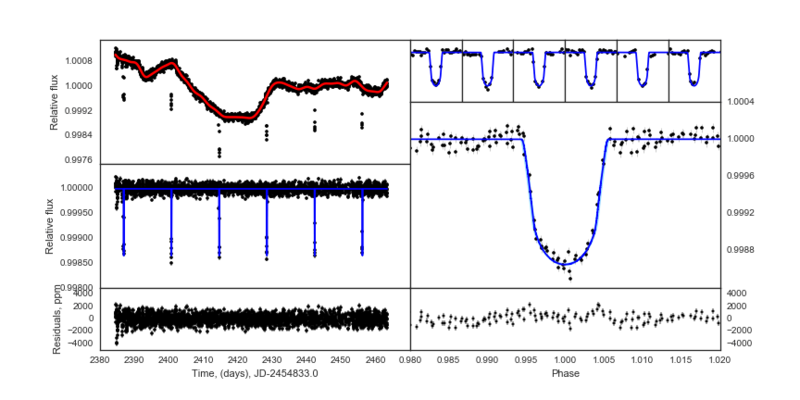 It is what it is – A candidate transit signal of a planet around Proxima Cen (figure L). Except a) the timing and duration don’t fit with the detected RV planet. b) If they come from a new short-period planet, it likely should have been spotted in the RV data (unless it’s unusually low-density). c) If it comes from a short-period planet it certainly should have been spotted by David Kipping’s MOST search. d) It’s ground-based photometry that looks through the notoriously disruptable atmosphere and with notoriously systematic-happy telescopes. It’s also the fourth (or maybe fifth?) such candidate event, none of which seem particularly good to me (eg the afore mentioned Kipping search, C & TL, and Liu et al’s search from Antarctica, LR). 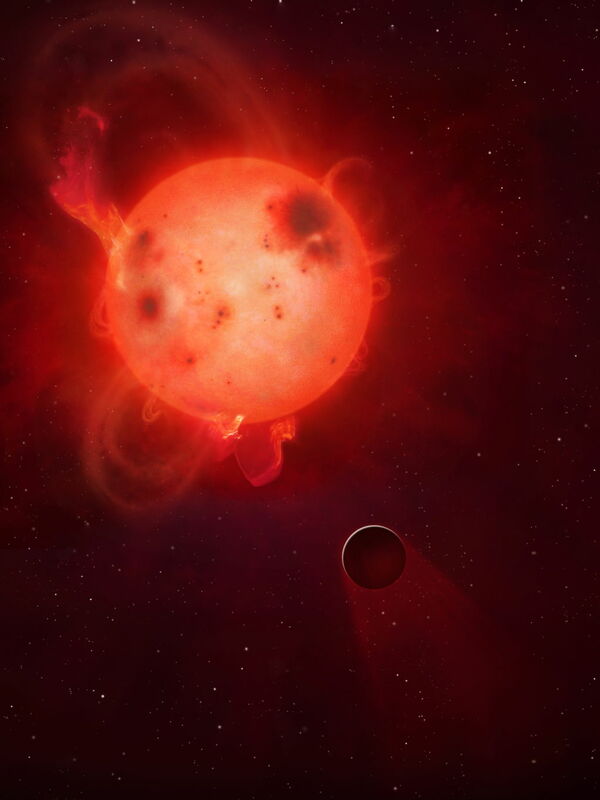 If this weren’t such an interesting and nearby star, we would likely never see papers on such low-significance transit events, which surely happen a lot, especially for notoriously spotted M-dwarfs. My take: nothing to see here. 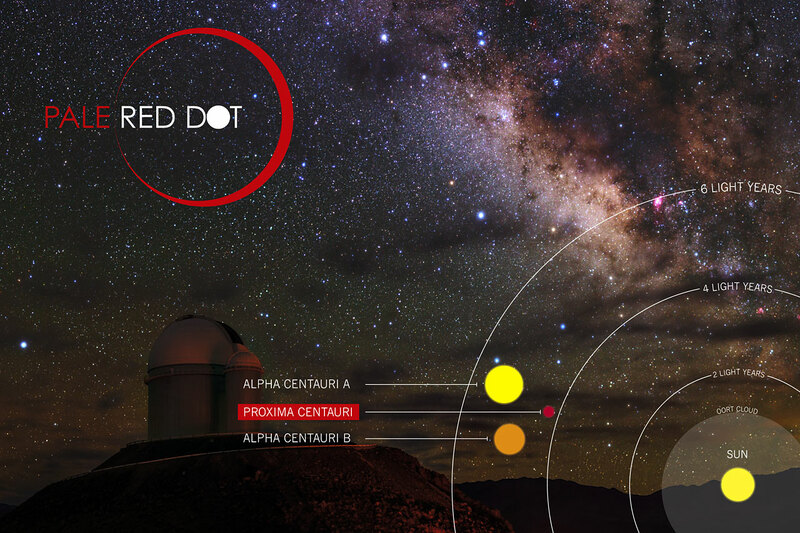 Proxima b almost certainly doesn’t transit. High-resolution imaging with a big telescope is a necessary step to figuring out whether a candidate transiting planet is real or not. 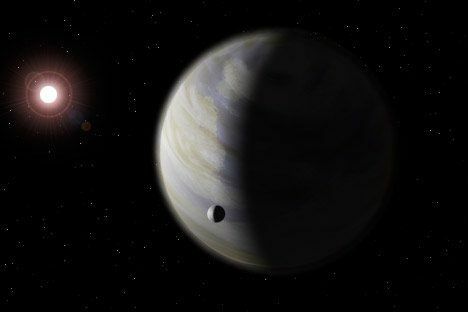 A faint second star might be the source of the eclipse signal (a “Blended Eclipsing Binary”), and even if it is the target star with a planet the light from this companion could make the transits shallower and therefore give inaccurate planetary parameters. 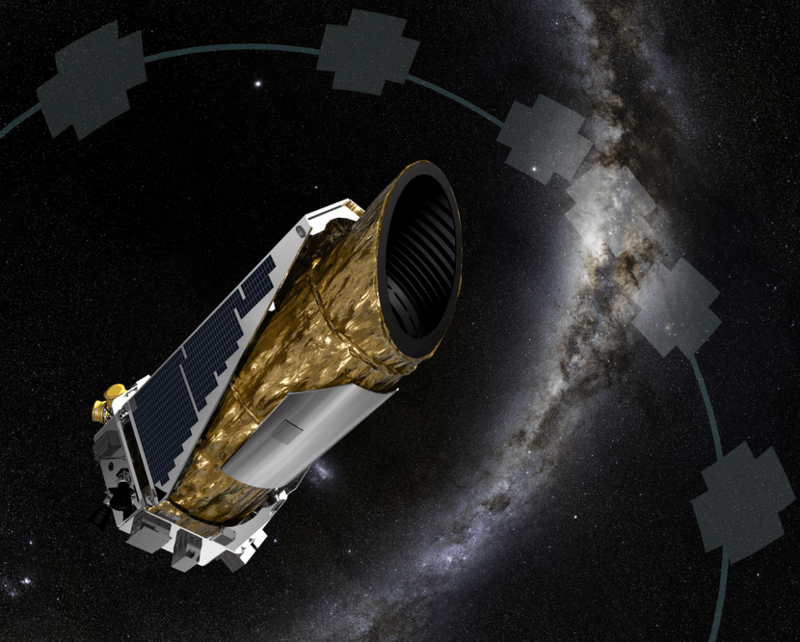 The Robo-AO guys have done a seriously impressive survey of thousands of Kepler planets and candidates to check just that. Of the 3300 candidates studied so far, around 13% showed another nearby source. This paper sums up the stats for the survey so far and adds 84 new companions. 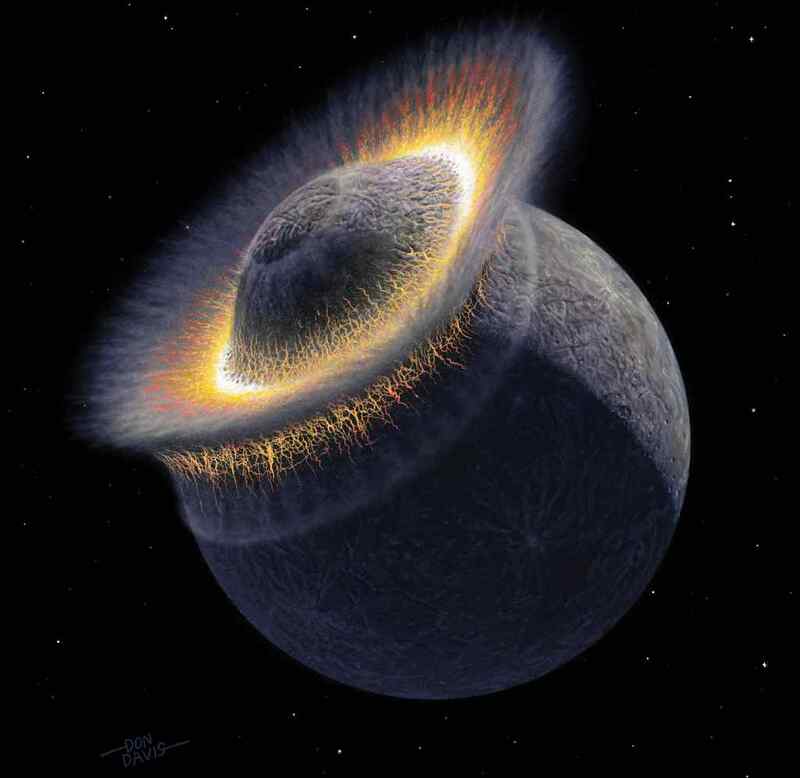 For 35 planetary candidates, the re-defined planetary radii push their planets from being terrestrial / earth-like worlds into the non-rocky gaseous regime. Following KELT & Qatar hot jupiters this week, we have 4 more from HAT-South! These guys benefit from (if the weather is good) near-continous coverage of the southern sky thanks to observatories across three continents! I should say that I like the look of HAT-S’s photometry here- very decent quality for such faint stars. These four are all hot (1000-1500K) planets with super-Jupiter radii, although the masses vary from 0.3 to 2 times that of Jupiter. They’re also ludicrously faint for hot jupiters. I remember teasing a colleague for publishing a V=13.5 magnitude WASP planet but three of these are fainter than that (sorry Jess)! So don’t expect to see HST pointing at these any time soon. 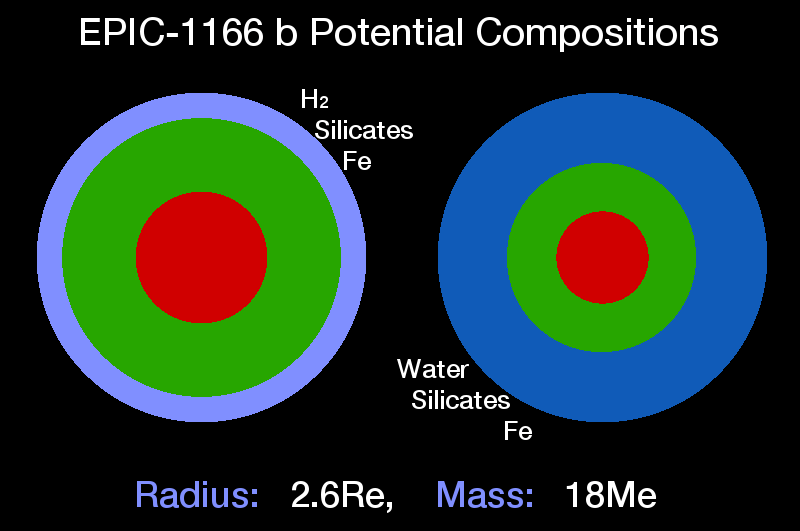 There have been a few papers looking at what happens to planet occurrences when stellar metallicity changes, and they have suggested that metal-poor stars host small planets and metal-rich stars host all kinds of planets (eg Buchhave). 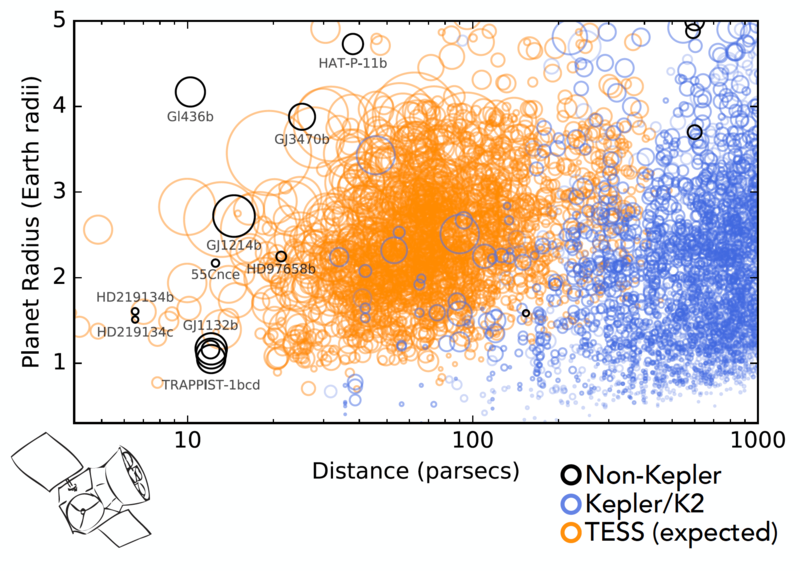 With all the time spent with 10m Keck telescope getting spectral information on more than 1000 Kepler stars, the Californian Kepler Survey would seem like the perfect dataset to check this correlation. 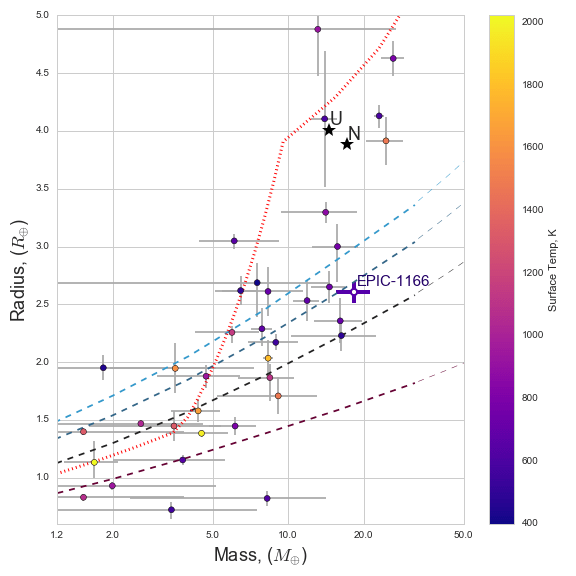 And, indeed, Eric Petigura finds that this trend is still present – metal-rich stars host both more hot planets, and more giant planets. 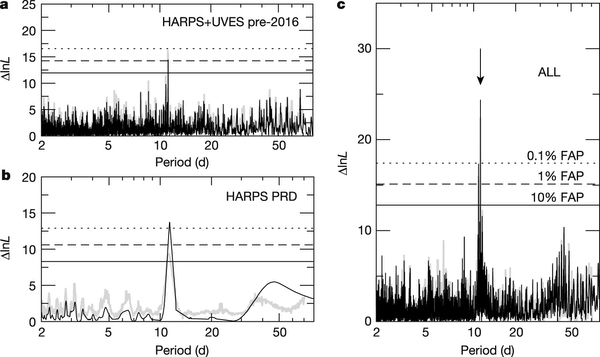 Unexpectedly, this paper also compiles standard occurrence rates for all the Kepler planets, using LAMOST stellar parameters for all the Kepler field stars, to give a detailed break down of the average number of planets as a function of size and period, updating the Fressin result of 2013 from 85d out to 1 year. This shows, for example, that there are ~15 warm super-Earths per 100 stars, that hot Jupiters are rare (~0.85%), that mini-Neptunes are very common, that giant planets are more common further from their star, and a whole host of other interesting things! Go hunting through the data if you have the time. I certainly will be using it! As some of you may know, I have an interest in exorings, and for that reason this paper piqued my interest. 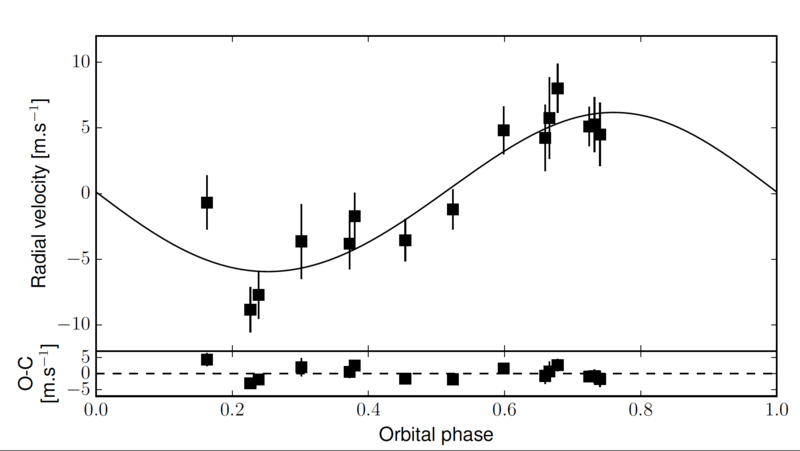 The giant planet that orbits Beta Pic passes close to its star in 2017, therefore photometry could reveal the presence of the rings of an extrasolar planet! 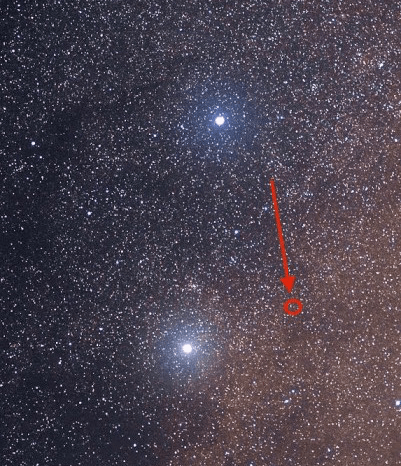 So what do these three little space telescopes (BRITE) find… nothing. 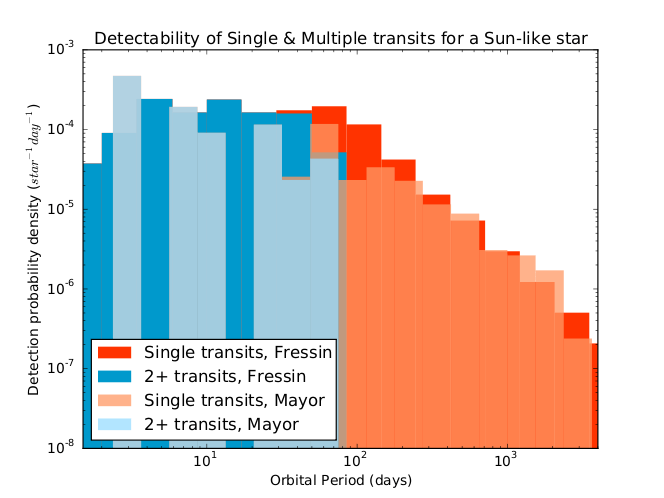 The 200 days of observations ended in mid-June (before the expected time of Beta Pic’s closest approach), but “no decrease in intensities caused by the transit was observed”. As they say round here, quelle dommage. 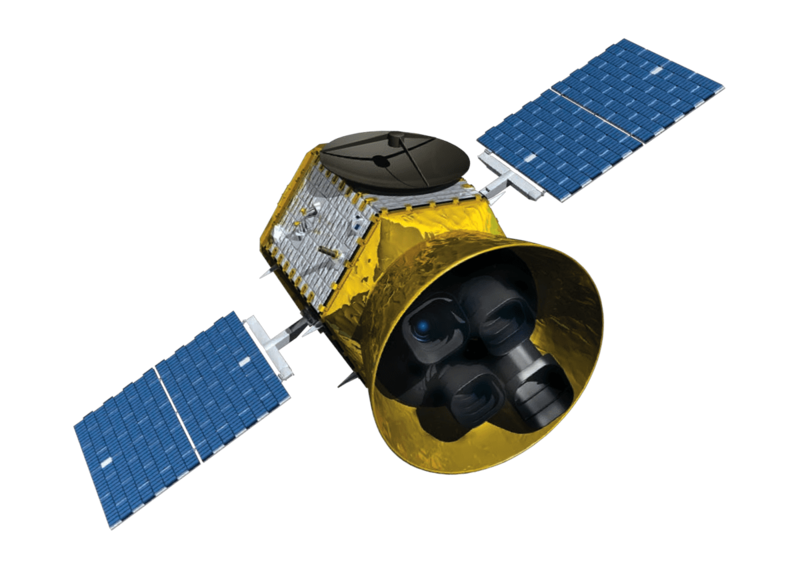 The KELT team are really ramping up their output, with as many as 10 new planets in the last year. 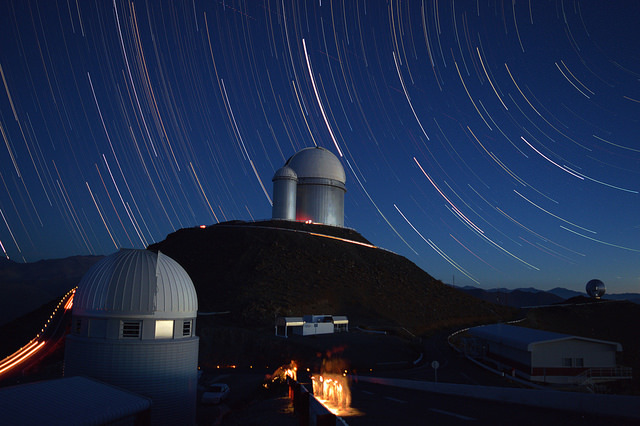 Their wide-angle telescopes mean they focus on the brightest stars, and therefore have found a lot of planets around hot F- and A- type stars. This is often problematic as planets produce shallower depths, RV follow-up is more difficult, and stars have more binary companions. KELT-21b is no exception, with only a 1% transit for a super-Jovian world, and in (at least) a triple system of stars. To confirm the planet, rather than using RVs (the star rotates too fast! ), they used doppler tomography, which recovers the velocity of the region of star covered by the planet (LR). This also automatically tells us the path the planet takes across the star, and can tell us whether its orbit is “aligned” with its star’s rotation (star in UR). Unusually for such a hot star, KELT-21bn seems perfectly aligned! This looks like a pretty standard ground-based Hot Jupiter to be honest. 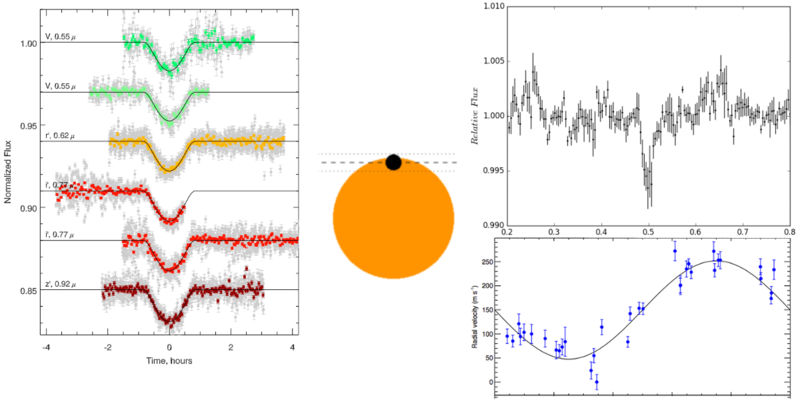 Publishing only a single new hot jupiter in a paper is actually getting quite rare these days. It is grazing though, which is in some ways interesting (not many grazing planets), but in other ways annoying (reduces the atmospheric signal observable with transmission spectroscopy and increases the false positive likelihood). The detection lightcurve, of course, looks awful (as most ground-based transit surveys do), but the follow-up lightcurves are great. These “grazing” planetary systems often worry me as they are most often mimicked by EBs (even with a seemingly planetary RV curve, see OGLE-TR-33b and WASP-9b). But given there seems to be no variation in the BIS (bisector span – a measure of the shape of the absorption lines), I’d say this is far more likely a planet than something else. Can large, close-in planets have a direct observable impact on their stars? In this review chapter, the two authors cover all the relevant results on this, especially the spectropolarimetric studies which might show the strength of hot jupiter magnetic fields, which could even be intertwined with those of their parent stars. Personally, I’m not entirely convinced that any direct “interaction” is there, although clearly some statistical anomalies exist. The significance of the HD 179949 signal (left) seemed to shrink away with re-observation, just like the old claims that HD189433 flared each planetary orbit. But it’s an interesting idea, and I await the paper that conclusively shows evidence for a hot jupiter’s magnetic fields with bated breath.